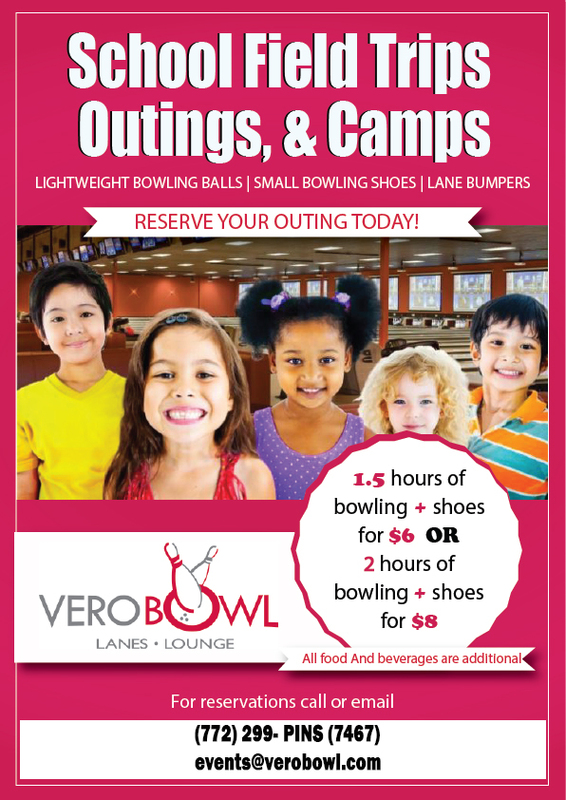 We host many school field trips and summer and holiday camps at Vero Bowl. Kids love our Cosmic experience! We have plenty of lightweight bowling balls, small bowling shoes and bumpers for the lanes. All of this is only $5.00 per child for 1 1/2 hours of bowling, including shoe rental. All food and beverages are additional.